The bunker mentality has arrived in earnest at Rutgers: The embattled RU president Robert Barchi is standing behind even-more-embattled AD Julie Hermann and New Jersey governor Chris Christie is trying to stay as far away from the mess as humanly possible. 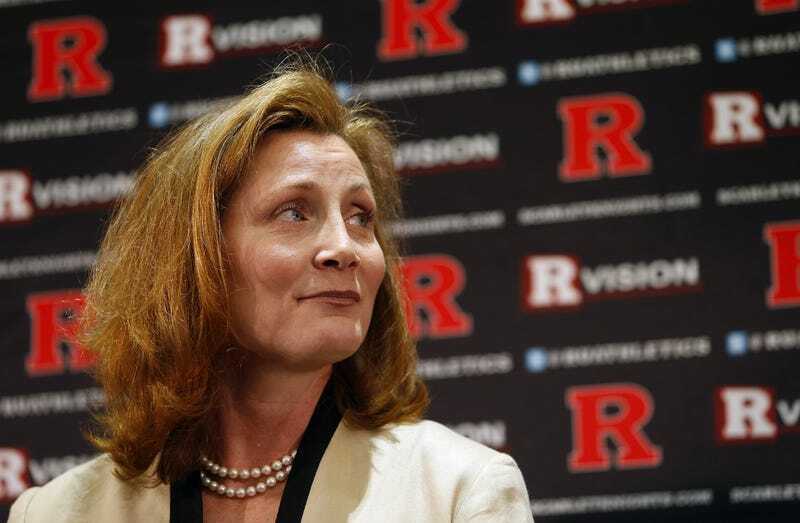 The dumbest thing about the recent allegations—Hermann's problems dating back to her coaching days at Tennessee, her troubles at Louisville, the Eddie Jordan mess—is the fact that Rutgers has sworn up and down that it's all about doing due diligence since the Mike Rice fiasco. And we now know that is so, so untrue. [T]wo additional sources described the process as all but predetermined, as well as fast-moving. Hermann was already the favorite of search committee co-chair Kate Sweeney, multiple sources confirmed, and the entire search was under pressure to wrap up quickly because committee co-chair Richard Edwards had booked a June 1 trip to China. A trip to China for one co-chair and a campaign to hire someone no one else considered for the other. Kate Sweeney doesn't have some long relationship with Hermann. The Star-Ledger reports that Sweeney called up the NCAA last month to get a list of people who might good for the job, Hermann's name popped up and she seems to have somewhat blindly settled on her and nobody else. No one did any vetting, Rutgers is surprised to hear she has a problematic past and that's how we have the latest scandal on the Banks of the Raritan.